AGL vs Origin: How do they compare? There are more than 20 different energy providers operating in Australia, but two of them have more market share than the rest combined. They are AGL and Origin, and in this review we compare their electricity plans across the country to find out which offers the best terms and the cheapest prices when you live. We won’t bore you with a history lesson about each of these big companies because, quite frankly, who cares? Instead, let’s just focus on the important stuff – what AGL and Origin offer their customers, and where you can find the best deal. To do this, we’ll focus on each state separately. While the electricity plans you will see often have the same names across Australia, it’s important to read the specifics because the details can vary considerably between states. Also keep in mind that the energy providers tend to change their discounts quite frequently, so the below details are subject to change. Here are the current cheapest published deals on our database for AGL and Origin across Victoria, New South Wales, South Australia and Queensland, with any conditional discounts factored in. Here are the cheapest published deals for AGL and Origin on our database for Victoria. These costs are based on a typical three-person household living on the Citipower network in Melbourne, but prices may vary depending on your circumstances. Use our comparison tool above for a specific comparison in your area. Here are the cheapest published deals for AGL and Origin on our database for NSW. These costs are based on a typical three-person household living on the Ausgrid network in Sydney, but prices may vary depending on your circumstances. Use our comparison tool above for a specific comparison in your area. Here are the cheapest published deals for AGL and Origin on our database for SA. These costs are based on a typical three-person household living on the SA Power network in Adelaide, but prices may vary depending on your circumstances. Use our comparison tool above for a specific comparison in your area. Here are the cheapest published deals for AGL and Origin on our database for QLD. These costs are based on a typical three-person household living on the Energex network in Brisbane, but prices may vary depending on your circumstances. Use our comparison tool above for a specific comparison in your area. Both AGL and Origin offer a good variety of electricity plans to their Victorian customers, with significant discounts reflecting the competitiveness of the local market. AGL offers households in Melbourne and the rest of the state several electricity options to choose from over 12 month periods, with online sign-up credit often available. AGL Savers: This contract is for 12 months and comes with a discount of 30% off usage charges when you pay your bills on time. It also comes with variable rates. AGL Savers Home Connect: This deal is the same as the one above but comes with a reduced, albeit guaranteed, discount of 16% for 24 months. In exchange you will receive an Amazon Echo Dot smart device. AGL Essentials: This plan comes with locked in usage and supply rates. There is no conditional discount and no exit fees for cancelling the contract early. A ‘Plus’ version of this product is available over two years, bringing bill credit (which varies between states) every six months. Origin also offers various different electricity plans in Victoria, on no contract terms or 12 month contracts. One Low Rate: This is Origin’s fixed rate electricity plan for 12 months. With it you are protected against any rate or supply charge increases for the term. There are no exit fees. Origin Maximiser: This 12 month variable rate plan comes with a 24% discount off usage charges when you pay by direct debit. It comes with email billing and no exit fees. Customers who sign up may receive an additional discount, taking the total to 29% off usage charges. Origin Saver: This variable rate plan offers 20% off usage charges when you pay your bills on time and also comes with a benefit period of 12 months. There are no exit fees. Those who sign up online get an additional discount, taking the total to 25%. Origin BillSaver: This is a variable rate plan with a guaranteed discount of 10% off both usage and supply charges. It comes with a benefit period of 12 or 24 months and may prove a good option for customers who don’t like direct debiting and sometimes forget to pay their bill on time. Origin Supply: This is Origin’s most basic plan with no discounts or set contract period. It comes with the same pricing as Origin’s standing offer. 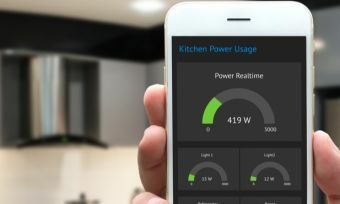 To help you make the most informed decision possible, we’ve crunched the numbers on the two cheapest products from AGL and Origin to show, based on average energy usage figures (i.e. the amount of electricity the average three person household uses), which plan is cheapest if you live on the Citipower network in Victoria. For a specific quote in your suburb, use our energy comparison tool above. *Prices based on average energy usage figures from AER for three person household on the Citipower network in Melbourne, April 2019. There is little in it, but AGL works out slightly cheaper than Origin in our Victorian comparison, with the two retailers fighting it out over low rates rather than big discounts as is often the case. You can see how AGL and Origin compare to many other providers in the state with our Victoria Electricity Cost Comparison report. Households with AGL or Origin in New South Wales have similar plan options as those in Victoria, but with some subtle differences in discounts. AGL offers the same range of electricity plans to customers in Sydney and the rest of the state, with $50 online sign up credit often available. AGL Savers: This plan comes with a 23% pay on time discount off usage charges. AGL Savers is a variable rate plan with a benefit period of 12 months. It also comes with flexible billing options. AGL Savers Home Connect: This deal is the same as the one above but comes with a reduced, guaranteed discount of 14% for two years. You also receive an Amazon Echo Dot smart device. Origin offers a similar suite of plans to its customers in New South Wales as it does those in Victoria, with the exception of its fixed One Low Rate product. One Low Rate: This is Origin’s fixed rate, no discount electricity plan for 12 months. Customers are protected against any rate increases for the term. There are no exit fees. Origin Maximiser: This variable rate plan has a 25% discount off usage charges when you pay by direct debit. It comes with a 12 month benefit period, no exit fees, and you receive all of your bills and other correspondence via email. Signing up online could result in a slightly bigger discount. Origin Saver: Another variable rate plan, this offer comes with a discount of 13% off usage charges when you pay on time, with a benefit period of 12 months and no exit fees. Signing up online takes the discount to 19%. Origin BillSaver: This deal comes with a modest 10% discount on both usage and supply charges. What makes this product stand out, however, is that you’re guaranteed to receive this discount regardless of how or when you pay. Customers can choose between a 12 or 24 month contract. In New South Wales, it’s again the no discount AGL Essentials Plus, this time going up against the big discount Origin Maximiser. But which works out cheaper? We will again compare prices between the two retailers using average energy usage figures. Once again, use our comparison tool above for a specific quote in your area. Origin edges out AGL on price in this NSW comparison, coming in slightly cheaper based on these assumptions. But considering the big discount, you might have thought the difference would be greater? It’s always worth reviewing a wide range of offers. You can see how AGL and Origin compare to other providers in our NSW Electricity Cost Comparison report. Electricity customers with AGL in South Australia have four plans to choose from, while those with Origin have three offers to consider. The AGL plans available in Adelaide and the rest of the state are all 12 month contracts and typically do not provide an online sign up credit, unlike with the other states. AGL Savers: The AGL Savers plan comes with a discount of 13% off usage charges when you pay your bills on time. This variable rate offer also has a benefit period of 12 months and there are no exit fees, but with flexible billing options and the same double up discount. AGL Savers Home Connect: This deal is the same as the one above but comes with a reduced discount of 7%. This discount is guaranteed rather than conditional and lasts for two years. In addition, you will receive an Amazon Echo Dot smart device. Origin brings the same three electricity plans to South Australia as it provides in New South Wales and Victoria, but with increased headline discounts. Origin One Low Rate: This is Origin’s locked rate plan with no discount. Usage and supply rates won’t change for 12 months after signing up. This plan only allows online billing and direct debit payments. Origin Maximiser: In South Australia, Origin’s flagship electricity plan offers a discount of 18% off usage charges when you pay by direct debit. A variable rate contract, it has a 12 month benefit period with no exit fees, and you will receive all emails and other correspondence via email. Origin Saver: This variable rate plan comes with a discount of 10% off usage charges when you pay your bills on time. This offer is available for 12 months and also has no exit fees. It does not include email billing. Like the Maximiser plan, the Saver deal also comes with an additional discount for signing up online. Origin BillSaver: This product has a guaranteed discount of 8% on both usage and supply charges. The discount applies for a 12 or 24 month benefit period, but there’s no exit fees if you choose to leave early. Its AGL’s Essentials plan going up against Origin’s One Low Rate deal as the two cheapest products from these providers in South Australia. Out of the two plans without a discount, which will be the cheapest? *Prices based on average energy usage figures from AER for three person household on the SA Power network in Adelaide, April 2019. This time Origin comes in slightly cheaper than AGL for the average Adelaide household, despite having no discount offered. That said, both prices don’t make pretty reading for South Australians. See how AGL and Origin compare to other energy providers in the state with our SA Electricity Cost Comparison report. AGL keeps its range of electricity products consistent with South Australia, offering the same four plans, albeit with different discounts. Prospective AGL customers in South East Queensland only receive a $25 online sign-up credit, instead of the $50 offered in other states. AGL Savers: This plan brings a 24% discount off usage charges when you pay your bills on time. It’s a variable rate plan with flexible billing options and a benefit period lasting 12 months. AGL Savers Home Connect: This deal is the same as the one above but comes with a reduced discount of 16%. In exchange you receive an Amazon Echo Dot smart device. Origin customers in south-east Queensland have three options to choose from, but with significantly reduced discounts available compared to other states. One Low Rate: This is Origin’s fixed rate, no discount energy plan for 12 months. Customers are protected against any rate changes for the term. There are no exit fees. Origin Maximiser: For Queensland households, this Origin plan has a discount of just 16% off usage charges when you pay your bills by direct debit. A variable rate offer, it has a benefit period of 12 months and no exit fees. You will receive bills and communications via email. The online sign-up bonus takes the discount to 20% off usage charges. Origin Saver: Another variable rate plan, this offer comes with a discount of 14% off usage charges when bills are paid on time, with a benefit period of 12 months and no exit fees. This plan also comes with an additional discount for signing up online. Origin BillSaver: This plan offers a 12% pay on time discount off usage charges. It is also a variable rate plan with a 12 month benefit period and no exit fees. AGL Essentials is the supplier’s cheapest product in SE Queensland, despite coming with no discount. In the other corner, Origin Energy’s best deal in Queensland, One Low Rate, also has no discount. We compare the Essentials deal to Origin’s One Low Rate to find out which is cheapest. *Prices based on average energy usage figures from AER for three person household on the Energex network in Brisbane, April 2019. In SE Queensland, there is very little difference between AGL’s and Origin’s cheapest products, with Origin just coming out on top at the moment. Find out how these costs compare to other providers in the state with our QLD Electricity Costs report. AGL and Origin are the two biggest electricity and gas retailers in Australia, offering a broad range of products in an effort to suit most households. These include big discount plans, products with no discounts at all, and various solar-specific offers for households with solar panels. As a result, AGL and Origin are both perfectly viable options whether you’re connecting power for the first time or searching for a better deal. So what have we learned here? Well, based on these comparisons, Origin is currently cheaper than AGL in most areas, though it’s important to point out that different tariffs may bring different results, and that prices vary between networks in NSW and Victoria. With price differences sometimes in excess of $100 a year, it’s important to make sure you’re not paying more than you have to. Use our energy comparison tool for a specific quote in your area. The message would be that it’s worth paying attention to the discounts offered with electricity plans, because not only will they help to reduce your overall costs, the percentage often directly relates to which plans work out cheapest. Not always, but quite often. This will make selecting a new plan a little easier, but probably shouldn’t dictate your final decision because there are other things to consider when searching for a new energy deal. AGL Fixed Rate: This plan comes with no discount but instead promises no rate rises for two years. AGL Savers: This plan provides a generous 38% discount off gas usage charges when you pay on time. The benefit period is 24 months. This is a variable rate product. AGL Set and Forget: This plan carries the largest discount at 40% off gas usage charges for 24 months. The discount is conditional on paying by direct debit. This plan also has variable rates. Bill Saver: This plan gives customers a 22% guaranteed discount off both gas usage and supply charges. According to the Origin website, this plan is ideal for low energy users. Origin Saver: This plan comes with a 28% pay on time discount off usage charges only. There is flexibility in how you receive bills and correspondence. Origin Maximiser: This comes with a generous 35% discount off usage charges for customers who set up eBilling and pay by direct debit. AGL and Origin both offer other incentives in a bid to secure your custom. AGL’s big selling point is its partnership with shopping rewards program flybuys, with one point available for every $1 you spend on energy. If you switch to AGL online, you will also net 10,000 bonus points. The other point to remember about AGL is that some of its plans come with a ‘free’ Amazon Echo Dot. Meanwhile Origin Energy has been attracting attention for its fixed cost Predictable Plan. Based on previous energy requirement data, Origin will quote a fixed cost on electricity or gas for an entire year, to be paid monthly or quarterly. The idea is to take the potential shock out of energy bills, with one set price to pay every billing period. Both AGL and Origin also promote their online account management tools to help you closely monitor your energy usage. This is important because, while the energy plan you’re on will dictate how much you plan, so will the amount of power you actually use. AGL and Origin both additionally offer GreenPower-accredited plans to customers throughout Australia. For AGL, this takes the form of its Green Choice product which can be added to plans for an additional amount on usage costs. Customers can choose between 10, 20 or 100% GreenPower. Origin customers can select 25, 50 or 100% GreenPower on top of any plan. If you’re close to making a decision about whether AGL or Origin are the best bet for your household, we suggest a look at our customer satisfaction ratings to see how other consumers rate both providers.